indian blanket camera strap. ice cream storage tub. measuring cups. candle. salt water sandal. necklace. popcorn maker. cutting board tablet stand. rubber spatula. Today's installment of beloved finds is purely inspired by my own personal Christmas wish list. Goodness are there some gorgeous things out there! 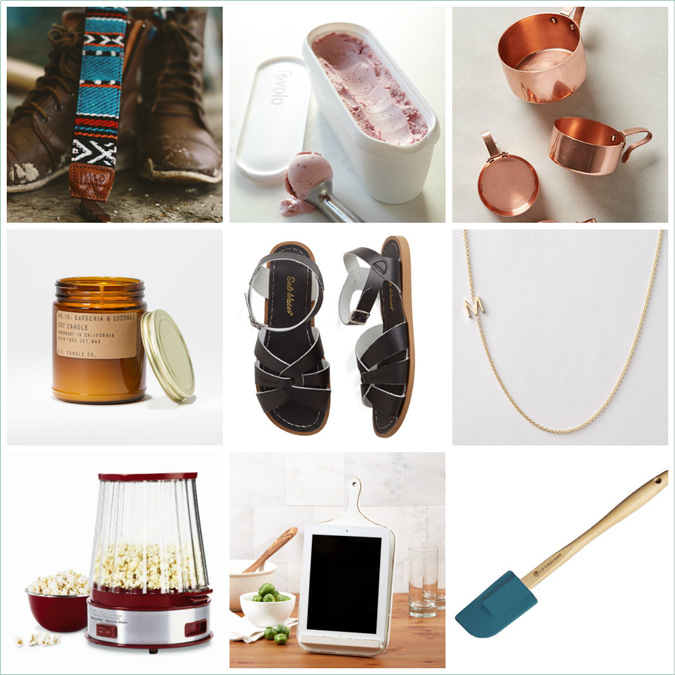 From copper measuring cups to a counter top popcorn maker (we Mains LOVE us some popcorn), you're sure to please anyone on your Christmas gift list. I need to get one of those ice cream storage tubs! I used this recipe to make homemade Christmas gifts this year, and the jam turned out delicious! (So good, I kept a jar for myself). The yield was spot on, which I really appreciate.. A few minor changes: I used frozen cranberries and strawberries, plain sugar and ground cinnamon and added a drop of vanilla extract at the end so it wouldn't turn bitter. I pureed it in the blender, as suggested, and the consistency was smooth, just how I like it (I didn't want it to seem like cranberry sauce instead of jam.) Great recipe. These were so easy and taste fantastic. Cookie exchange nightmare averted! Thanks. chocolate cupcake recipe In case your inspiration of homemade cookies includes breaking aside some Tollhouse cookie dough squares or reducing through a cookie dough log, then you will have rather a lot to study in regards to the selfmade cookie universe that your taste buds are missing out on!